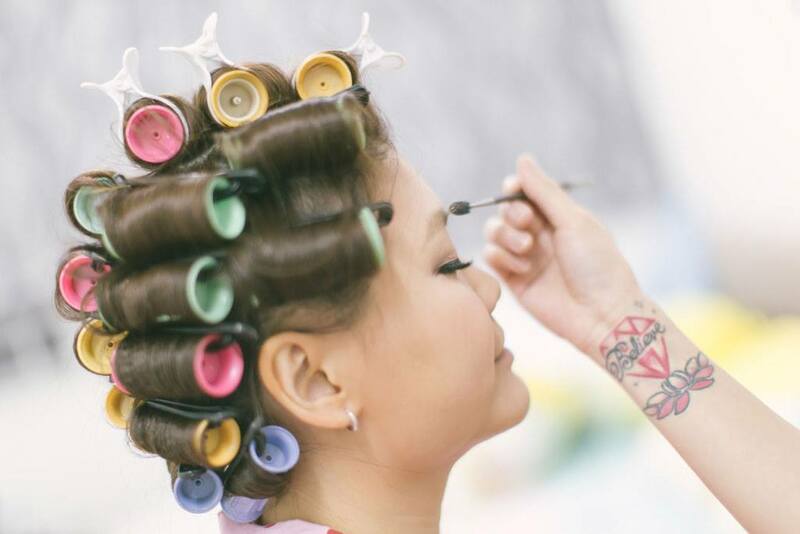 Professional makeup artist and hair stylists in Singapore committed to providing top quality services at affordable rates. MakeThisOut was founded by Bernice Low in an effort to bring professional makeup artistry and hairstyling services directly to you - we bring the best to you ; enjoy a delightful experience of looking good and feeling good. MakeThisOut offers personalized makeup and hairstyling services range from consultations, bridal engagement, actual day weddings, bridal parties, dinner and dance, events , functions and special occasions : work interview, VIP party, wedding or fancy dress party, gala occasion, bachelorette party..
We also offer personal grooming and makeup workshop where we can learn how to apply makeup or learn to apply makeup in the right way in a 1-on-1 private session that tailor especially to meet the requirements of our clients. We are specialists in wedding beauty industry and have extensive knowledge and experience of what is realistic and practical in different situations for the event we will be working in. All of our advice and support is tailored specifically to you. Our approach is always structured and efficient. At every stage, it will be clear to you how we are helping you meet your objectives. We know how important it is that our clients get the best value for money. ​Our fees are typically pre-agreed so our clients know the exact costs of a particular engagement. "We were all aware of the powerful effects of makeup. ​Beautifully applied makeup is always a delight. ​Makeup can provide a sense of comfort by enhancing naturally beautiful features. Everyone strives to be perfect, and in some women’s minds, this is the way to achieve that desired persona. I always see makeup as an opportunity to bring out beauty and the best in everyone, letting them Glow and Outshine." This team of makeup artists specialise both in bridal and commercial makeup, and offer unconventional styles according to your preferences and needs. At makethisout, the artist and stylist knows just how to draw out that balance of elegance, beauty and uniqueness in every individual, to make every bride feel one-of-a-kind on their special day. With their vast professional experience, you won't have to worry one bit about their amazing skills. If you're into a mix of traditional and contemporary styles for your bridal look, Makethisout is the way to go. ​Bernice is gifted with a skilled hand for beauty makeup. Her sincerest yearning to make one look good and feel good naturally as a result has been a continued inspiration for her to bring out one’s instinctive beauty. Without applying excessive makeup in fancy colors and overwhelming shades that is unlikely of an artist’s naturally elegant style, she would always end up giving you your most desired look in ethereal hues, sheer finish, and seamless coverage. Over the years, hundreds of women have watched natural beauty they never knew they had emerge from under Bernice's skilled brushstrokes. Weddings are a specialty, but, as she puts it, a woman should feel like a million bucks whether she’s going to the office or walking down the altar. I love it when friends share their beauty secrets with each other. Recommendations from someone you trust are like gold and recognitions from editors or tastemakers is even better. ​After all, trusted friends and industry pros will never steer you wrong.